Muddle ginger and chile chunks with lime juice. Pour all into a mixing pint, shake with ice, and strain into an ice-filed highball glass while simultaneously pouring 1 oz. of Ginger Beer. 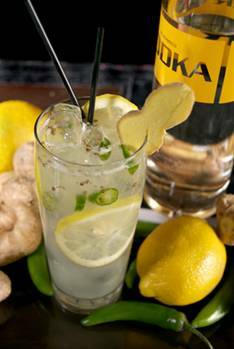 Garnish with a cut ginger wedge, and enjoy!